I recently saw bacon wrapped hotdogs in the store and thought, I can make those, so I did. THey turned out great. I topped my hotdogs two ways. 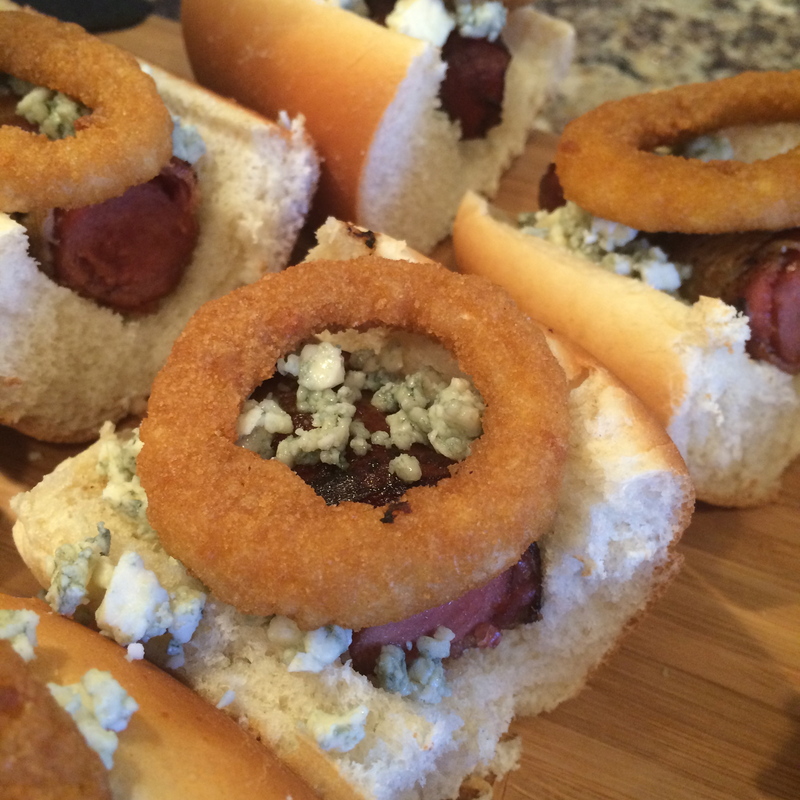 First I added blue cheese and an onion ring. Then I when with melted cheddar cheese and BBQ sauce. I am sure any topping would be wonderful on these little beauties. I cooked all of these hot dogs an hour before my guests arrived and kept them warm in the oven at 170 degrees. 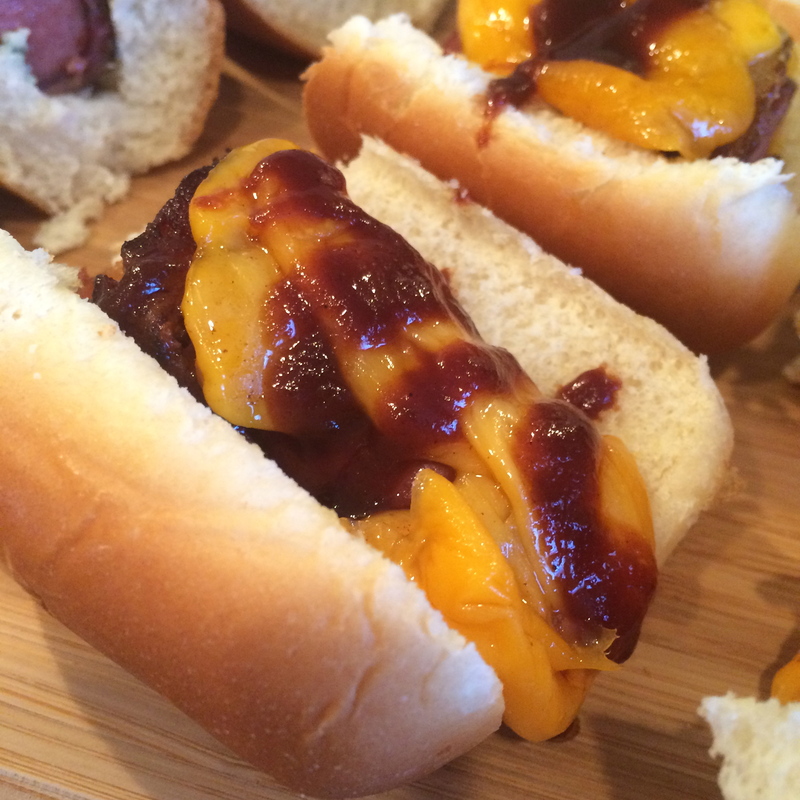 When we were ready to eat I put the hot dogs in buns and added the toppings.